Welcome to Boardmasters 2018, Newquay’s answer to Coachella (kind of) where sun, sea surf and sand greet us on all sides. Well they would have done had it not been been for the huge downpour that threatened to wash out day one before it even kicked off. Thankfully when the music finally arrived the sun returned with the tunes. Here’s what we learned on the first day. 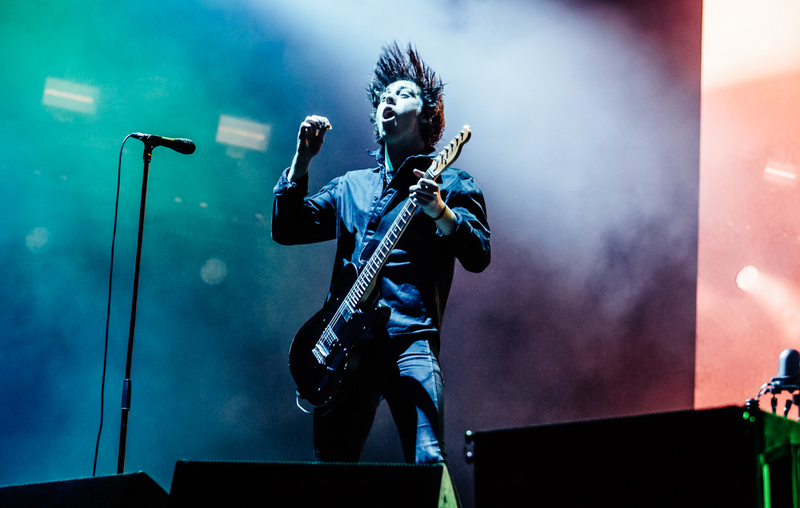 After recently smashing Derbyshire’s Y Not Festival, Catfish and the Bottlemen are whisper it, becoming serious headline contenders for some of the festival circuit’s biggies going by tonight’s tremendous performance. Much like their ladrocking forefathers Kasabian, these Landudno boys have had to slog their guts out to secure a worthy headline slot in recent months. But they step up to the plate like natural successors tonight as frontman Ryan Van McCann commands a riotous sea of fans on the Main Stage. 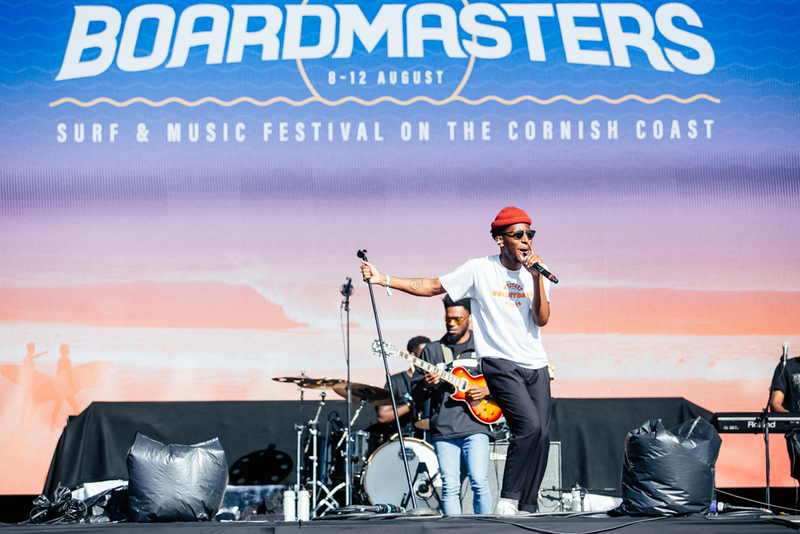 “Boardmasters, are you with me?,” he demands as the band open with a gigantic rendition of ‘Homesick’, “Let’s go!”. From then on in, Catfish unleash anthem after anthem as McCann thrashes his way across the stage. ‘Pacifier’ sounds epic as he shreds and snarls ‘Oh please, you’re obesessed!/ I said she looked over-dressed/ She defo didn’t like that no.” As factions of fans continue to leap on shoulders, the hits keep on coming in the form of ‘Twice’, ‘Hourglass’ and the stunning ‘7’. A spine tingling ‘Cocoon’, wraps up proceedings as Van bequeaths the opening and final chorus to the crowd. “Boardmasters, it’s been an absolute pleasure,” Van gushes. You can say that again. Over on the Unleashed urban and electronic stage, Stefflon Don pulls in a massive crowd as she smashes her way through a filthy disco banging half hour set. Flanked by her troupe of dancers and mash up MC, Stef spits out megahit ’16 Shots’, ‘Instruction’ and Twerk anthem ‘Wobble’ through a blaring PA as she struts and writhes her way across the stage to huge hollers and cheers. Stef also finds time to send a touching message of love to Demi Lovato, following her recent hospitalisation from a suspected drugs overdose, before finishing with the huge ‘Hurtin Me’. 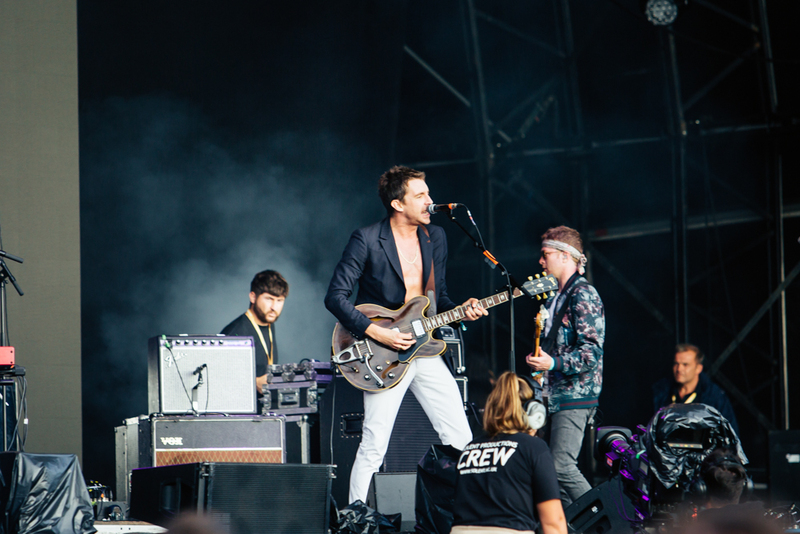 Forever seemingly shackled by his fellow shadow puppet’s success, Miles Kane‘s glam stomping new album ‘Coup De Grace’, has allowed the scouse solo artist to flex his own defiant music pecs. He struts onstage like he’s stepped off an LA film set – bare chested, donning a black waistcoat with white pants. Kane means business and his set proves that as he peppers old favourites (‘Inhaler’, ‘Come Closer’) with his newly discovered glam pomp. Recent single ‘Cry On My Guitar’ comes on like a modern day ‘Get It On’ by T.Rex as he cries: Loaded with the cheapskates barely alive I said yeah, I come undone, while the Lana Del Rey penned ‘Loaded’ channels David Bowie’s ‘All The Young Dudes’. The surf guitar driven ‘The Wrong Side Of Life’ which he premieres tonight on the day of his new album release, wouldn’t sound out of place on Arctic Monkeys’ second album ‘Favourite Worst Nightmare’ but Kane puts his own twist of scouse snarl on it as he spits: You don’t love me no more, over a thudding drum beat. Thankfully Fun Lovin’ Criminals‘ own bad time keeping allows him to step in after a mix up with flight times, results in their slot being axed. Many of the fans who’ve turned up for Huey and the gang initially appear confused when Samm swaggers onstage and he belts out recent single ‘How Does It Feel?’ like a modern day Marvin Gaye. “My name is Samm Henshaw, you probably don’t know me but feel free to sing along with me,” he says apologetically to the initially disgruntled Fun Lovin’ Criminals’ fans. But he soon has them on his side as he kicks off a response and call for the gospel driven Skinner-esque track ‘Doubt’. Elsewhere, recent single ‘Broke’ goes down well with the Boardmasters crowd as does future anthem in waiting ‘Church’. 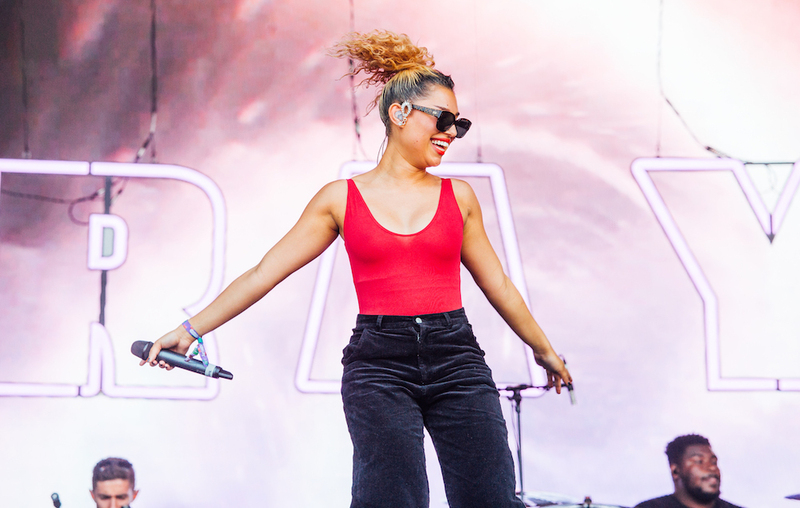 Rising South London pop star Raye kicks off the afternoon with a series of summer bangers including new single ‘Friend’ which sounds like it was spawned from the same gene pool as Dua Lipa’s ‘New Rules’ while ‘Cigarette’ is a Rihanna-esque calypso beats stomper. But it’s the synth stabbing Jax Jones 2016 club hit ‘You Don’t Know Me’, Raye recently featured on, that is the pick of the hits today.